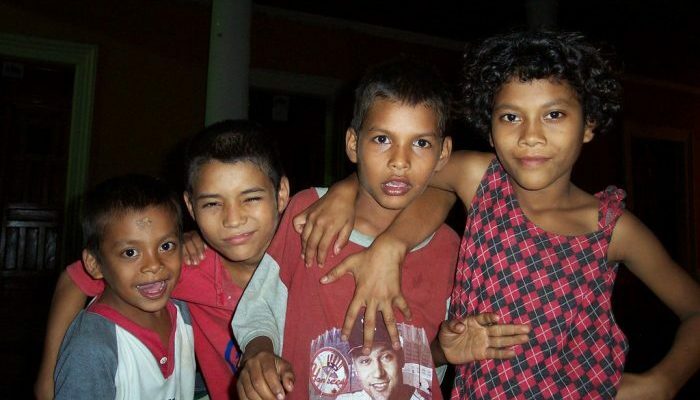 Most Nicaraguans are of mestizo origin, the result of breeding between the original Spanish settlers and the native indigenous people. It’s something that most Nicas – as they call themselves – are proud of. 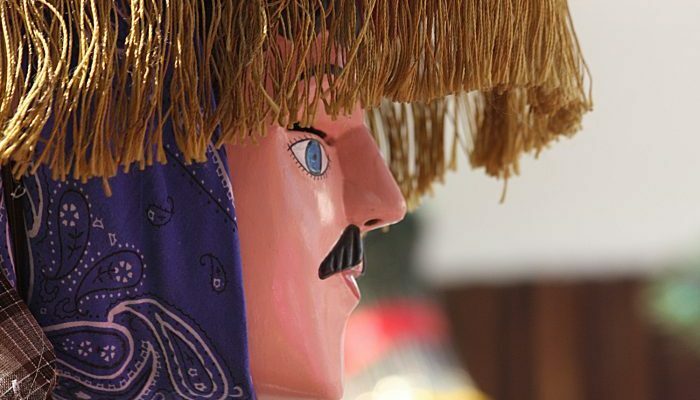 Many of the festivals that take place in Nicaragua descend from Pre-Columbian traditions, far more so than other countries in the region. The mixture of Roman Catholicism that the Spanish brought with them and local indigenous culture has produced something quite unique in Central America. Spanish is the principal language of Nicaragua. 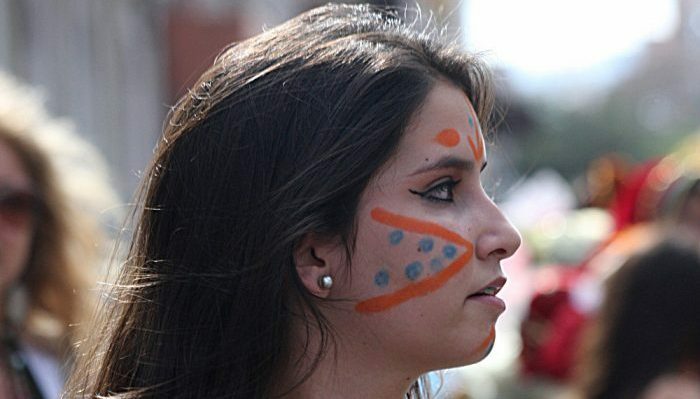 Out of all the countries in Central America, the Nicaraguan accent is the most distinctive. Even the most seasoned of Spanish speakers will sometimes have to ask a Nicaraguan to slow down while in mid flow. Like other parts of Central America, the Caribbean coast English-speaking. This is a remnant of British rule on the Mosquito Coast. Alongside English, Creole is also spoken by many in the Caribbean. Creole is a curious mix-match of English, Dutch, French, Portuguese and Spanish. It dates back to the days when pirates hid out among the islands and cays that make up the coastline. Add into this mix the local tongues like Miskito, Rama, and Garifuna, and you have some fantastic Creole going on. Of all the countries in Central America, Nicaragua is famous for its poetry. To this day, poets in Nicaragua are often feted as rock stars. The International Poetry Festival held each February in Granada attracts poets and fans from all over the world. Spoken word has always been important in countries where the literacy level was low, and where political and social injustice prompted passion, and Nicaragua is no exception. Latin America’s greatest poet, Ruben Dario, was Nicaraguan. Latter-day figures such as Ernesto Cardenal and Gioconda Belli have followed in his footsteps to make Nicaragua the spiritual home of all things poetry. Unlike the majority of Latin American countries, Nicaraguans do not see soccer as their main sport. Baseball is king here, an influence from the years of United States occupation in the early 20th century. There is a competitive Nicaraguan professional league and fans are passionate. 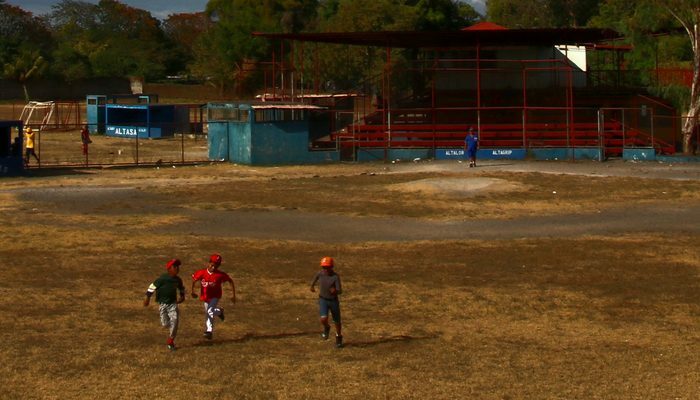 A major source of pride in Nicaragua is when one of their homegrown players gets picked up by the major leagues in the States and goes on to become a star there. Outside of baseball, boxing is the number two sport, with soccer being a distant third. Music in Nicaragua is the same as elsewhere in the region. The traditional Latin styles like salsa and meringue rule. The Caribbean side has its own Caribbean Island vibe, as well as the traditional Garifuna Punta style. Nicaraguans are partiers and like to have fun. One thing that people notice about life in Nicaragua is that it’s loud. The music is loud and the parties are passionate. That’s Latin America in a nutshell, but Nicaragua has a special kind of loud. Nicaraguan cuisine is corn-based, alongside the ubiquitous rice and beans that are eaten throughout the region. Nicaraguans do not particularly like hot, spicy food. The varieties of different tastes for different palates is much less diverse here than in, say, Mexico. That doesn’t mean that there isn’t good eating in Nicaragua, though. Fritangas are what they call traditional restaurants in Nicaragua. They are often situated in people’s homes or on the street in front of people’s homes. Grilled and fried meats come served alongside rice, beans, and salad. At certain times of year – especially Christmas – nacatamales, the Nicaraguan form of the tamale, are available. 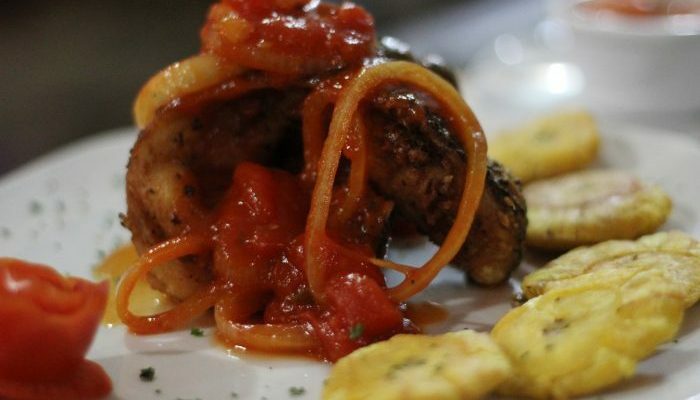 The Caribbean side of Nicaragua offers the same sort of food but with a Caribbean twist. Rice is often cooked in coconut, as well as various fish or chicken dishes. 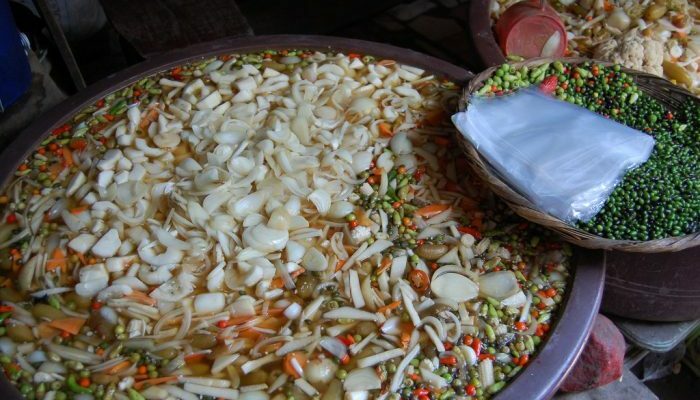 Another feature of Caribbean cuisine in Nicaragua is the rondon (run down) where meat, chicken or fish (sometimes all three) get cooked in a big pot or a pit alongside seasonal vegetables. It’s something related to gumbo in the deep south of the US. The name comes from “running down” to pick up the freshest food in the market for the meal. Like the rest of the world, Nicaraguans are not immune to the charms of hamburgers, pizzas, hot dogs and so on. Most towns have places to eat this international food. Only the capital city of Managua has the big chains like McDonald’s, though. Outside of Managua and the tourist hot spots of Granada and San Juan del Sur, international food and fine-dining are rarer. Most eating out is in fritangas or local bars. Nicaragua is still a very poor country and many can’t afford to eat outside of their homes except for special occasions. Nicaragua is home to Flor de Caña, which is one of the best rums in the world. A traditional drink in Nicaragua would be a Nica Libre – rum, coke, and lemon. It’s the same as the more well-known Cuba Libre. 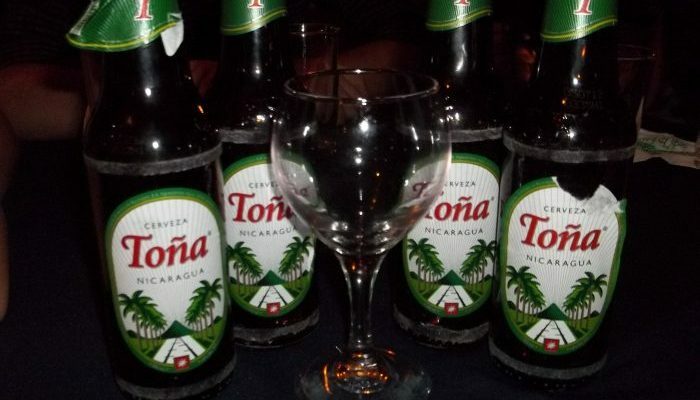 Nicaraguan local beer, Toña, and Victoria are both regarded as two of the best beers in Central America.